After meeting the family, Kejriwal slammed the Bharatiya Janata Party (BJP) government and Modi for their failure in acting against the unlawful activities of Pakistan. Delhi Chief Minister Arvind Kejriwal on Friday said that Rs 1 crore would be given to the family of a BSF trooper who was killed by Pakistani forces on the International Border near Jammu. Kejriwal made the announcement after visiting Narendra Singh’s family in Haryana’s Sonipat along with Aam Aadmi Party (AAP)’s state unit chief Naveen Jaihind. “For the martyred soldier of Haryana, the Delhi government will bring the case under a special provision in its cabinet meeting and provide the family with a financial aid of Rs 1 crore,” a Delhi government official said. “Before becoming the Prime Minister, Modi ji used to talk about giving a befitting reply to such attacks instead of writing ‘love letters’. 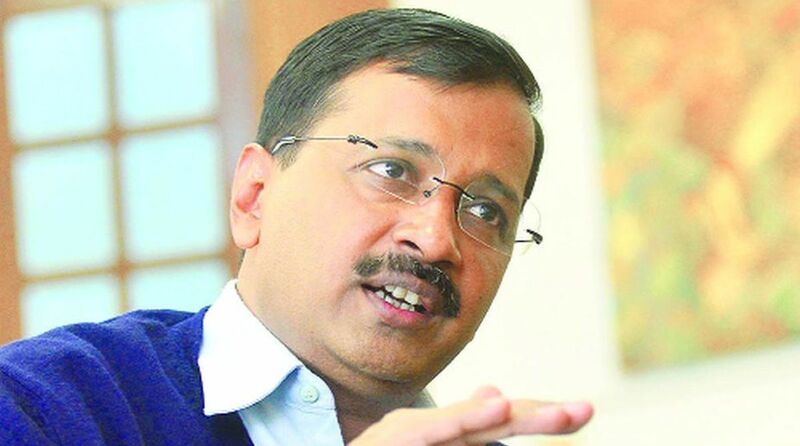 Give a reply now… It is not the time to stay mum,” Kejriwal told the the media. “You go to Pakistan to cut a cake (meeting with former Pakistan Prime Minister Nawaz Sharif in 2015). But cake cutting is not going to stop the attacks on our soldiers. You had said that you will take strict action against Pakistan, so do it now,” he added. On the reports of Surgical Strike Day being celebrated on September 29, Kejriwal, on his Twitter account said that the “best way to celebrate surgical strike day would be for the PM to visit the family of Narendra Singh, who was tortured and slain by Pak this week. “PM should assure the nation that Pakistan would be given such befitting reply that it won’t dare do it again,” Kejriwal said in a tweet. Media Asks CM @ArvindKejriwal if India should continue Playing Cricket Matches with Pakistan. The mutilated body of Singh, the Border Security Force’s (BSF) Head constable, was found on Tuesday hours after Pakistani forces had resorted to unprovoked firing in Ramgarh sector of Jammu.